Mccoy | Meyer is an award-winning production company, responsible for delivering more than 60 films, commercials, and music videos in the last three years. 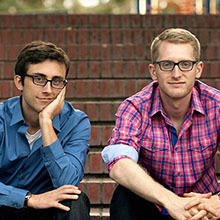 In 2012, Eric McCoy and Justus Meyer decided to quit their jobs, and team up to make films. After taking a leap of faith, the two discovered the proof was in the pudding: their very first project earned them a Letter of Recognition from the US Congress. The two went on to create numerous spots for brands like Proctor & Gamble, Verizon, Mattel, The Hersey Co., and Pepsi. Mccoy | Meyer won a Telly Award in 2014 for their Famous Footwear anthem "A Letter to Mom," which played in movie theaters, and earned the duo six more marquee holiday spots with the brand. In 2015, their short film "My Best Friends Death," premiered at the Oscar-Qualifying Athens International Film Festival. Since then, it has played over a dozen venues, including the Chinese Theater in Hollywood. "We're incredibly excited for the launch of CrowdHere, and can't wait to bring our creative energy to the field!" says director Eric McCoy. "We got our start in crowdsourced content, and the spirit of competition keeps us constantly finding new ways to tell interesting stories." The boys are currently working on their first feature, and hope to sleep sometime next year. 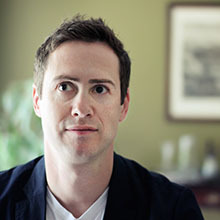 Jeff Hammond is an award winning commercial Writer / Director and Producer but has also spent many hours in front of the camera as an actor and TV host. 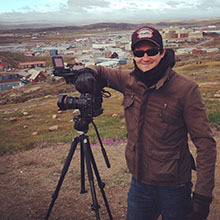 Having appeared in over 20 National TV commercials, he brings that on-set experience to is Directing projects for a unique "hybrid filmmaker" experience. For the past 12 years, he has been creating cutting edge films that are both thought provoking and visually captivating. His viral video efforts have garnered attention from the biggest media outlets in the world including ABC Night Line News (America) Canal + (Europe) and CTV National News and Global National News (Canada) He spends his time between Toronto and Los Angeles. David is an award-winning graphic designer that specialises in motion graphics and animation who works with with a variety of clients, across a range of industries, worldwide. He lives on Canada's West Coast near Vancouver, with his wife and two sons.